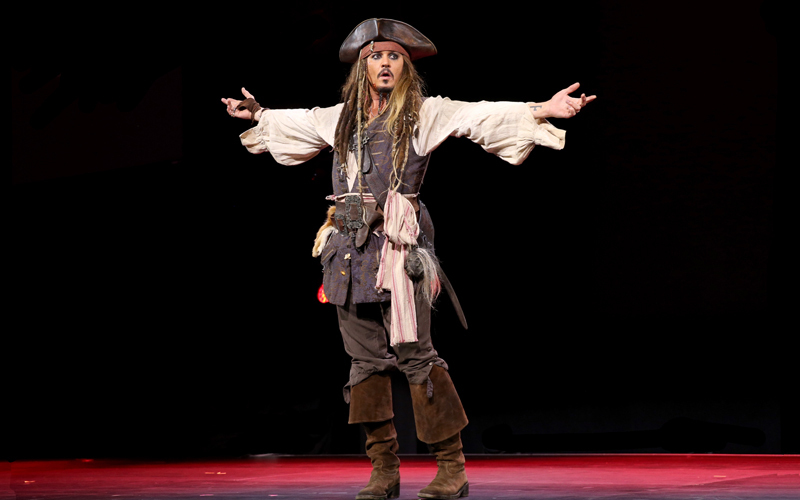 Those animatronic Jack Sparrow figures are lifelike and all, but riders aboard Disneyland’s Pirates of the Caribbean yesterday got a taste of the real thing: Johnny Depp was there, in character, swaggering among the set pieces. Depp was onsite filming a promotional spot for Dead Men Tell No Tales, the fifth Pirates of the Caribbean movie (set to be released on May 26), and tourists squealed as he strode forth to commandeer their boats. Depp was nominated for an Academy award after his first outing as the Keith Richards-inspired scallywag in 2003, and three animatronic figures modeled on him were added to the ride in 2006.